Mortgage Investors Group (MIG) is committed to helping Tennesseans fulfill their dreams of homeownership. The company has served more than 125,000 clients in excess of $20 billion since co-founders Chuck Tonkin II and Chrissi Rhea opened a modest lending office in Knoxville, Tennessee, in 1989 with five colleagues. Today, with nearly 400 employees in 25 branch locations from Memphis to the Tri-Cities. 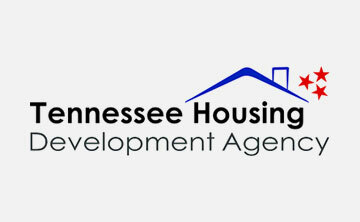 As the Tennessee Housing Development Agency’s (THDA) top lender since 2003, MIG also enjoys a reputation for delivering unparalleled service to first-time homebuyers. The firm’s experienced mortgage experts take pride in providing personalized service aimed at helping borrowers find the best solution for their home financing needs when they need it. In addition to offering competitive rates and a diversified line of residential mortgage products, including government and conventional loans, MIG houses on-site underwriting, processing and appraisal services and employs state-of-the-art technology to ensure a swift and professional lending experience. At MIG, we honor the trust of each client by providing the best financial solution that mortgage lending offers. We value our family of employees and stand behind their work. We will always do what is right. When clients partner with MIG, they benefit from a team of advisers and licensed loan officers with the dedicated resources and support required to close on time, every time. The company has enjoyed steady growth for the past two decades, reaching new markets and closing more than $18 billion in loans during that time. Many of the company’s executives have held leadership positions with the Mortgage Bankers Association at the local, state and national levels. Throughout its success, MIG hasn’t lost sight of its mission to always do right by its clients, value people like family, and give back to the communities that have helped it find success over the years. As a result, MIG has enjoyed lifelong relationships with borrowers, Realtors and investors that are based on earned trust and mutual respect. #1 Tennessee Residential Lender According to Courthouse Retrieval Systems (CRS), 2018. #1 Tennessee USDA Lender The U.S. Department of Agriculture recognized Mortgage Investors Group as the top rural housing lender in Tennessee for 2018. MIG has been the #1 USDA Lender for 5 years running. 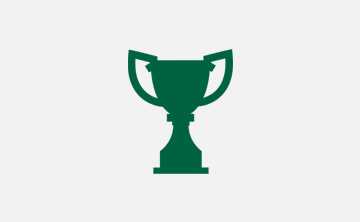 #1 THDA Lender The Tennessee Housing Development Agency (THDA) has recognized Mortgage Investors Group as the top THDA lender in Tennessee for 16 years running. According to Tennessee Housing Development Agency (THDA), 2018.